When you bring or send items to Cascade Refining, we first must evaluate the items. This includes a visual inspection, a magnet test, and/or a specific gravity test. Once we have evaluated your items we will provide you with an estimate. If you are happy with the estimate we test the items further to ensure that they are what they seemed to be during the initial evaluation. Once everything is tested and proven to be made of a precious metal we pay you for your items. The average transaction takes between 10 and 20 minutes from start to finish. 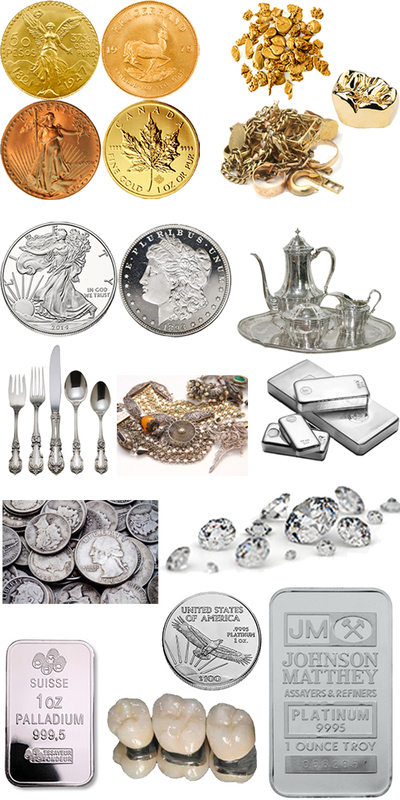 Sterling Silver Bowls, Cups, Plates, Candlesticks, Etc. Silver Plated Flatware, Platters, and Bowls.